Posted by OeWF in AMADEE-15 Simulation, Guest blogs, OeWF News. Today, in a world which offers us myriad channels to communicate with each other, what we still lack, surprisingly, is an intention to connect. The need to connect with people who share the same passion as yours, is not only essential to your success, but, to the intrinsic human desire to make friends as well. Friends with whom you can talk about what you really love without any inhibitions and listen to what they are doing any why. It provides you with an opportunity to exchange ideas and learn new things. What could be a better place to do this than at an International conference? I understood the importance of such networking as soon as I set foot as an intern in OeWF. 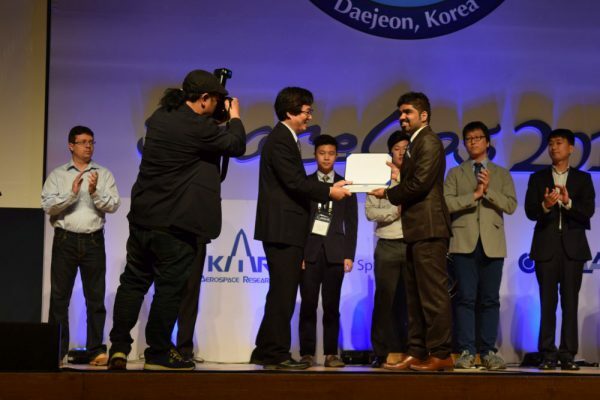 Hence, my yearning to be a part of the 14th International Conference on Space Operations (SpaceOps) that was held in Daejeon, South Korea, this year, was not something spontaneous. After two months of constant interaction and effort on our end, and, guidance from senior team members, my colleagues and I were finally able to come up with a good technical paper. The paper outlined the entire mission from an operational perspective, included the lessons learned and made some suggestions to improve the feasibility of such missions in the future. The conference got going with a student and young professionals workshop on Cubesats and an informal networking dinner. 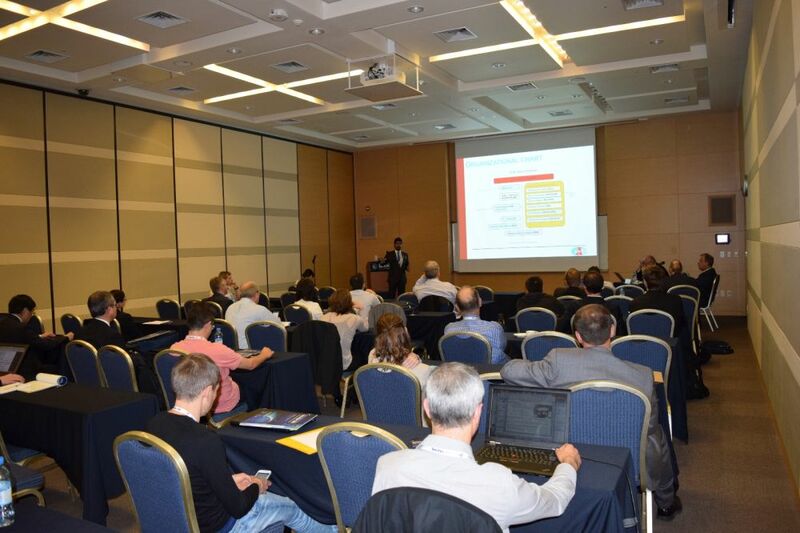 We thoroughly enjoyed the events and got a glimpse of what the conference would be offering us in the coming days. The opening ceremony, that was held the next day, marked the official start of the conference. It was very well organized and turned out to be very informative as well. 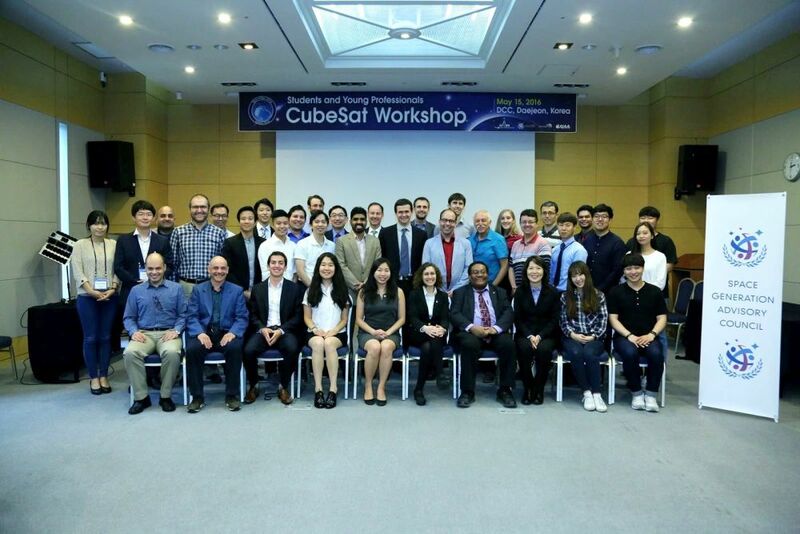 Top officials from various space organizations of the world took to stage and we all got an insight into the current leading-edge research in the field of space operations. 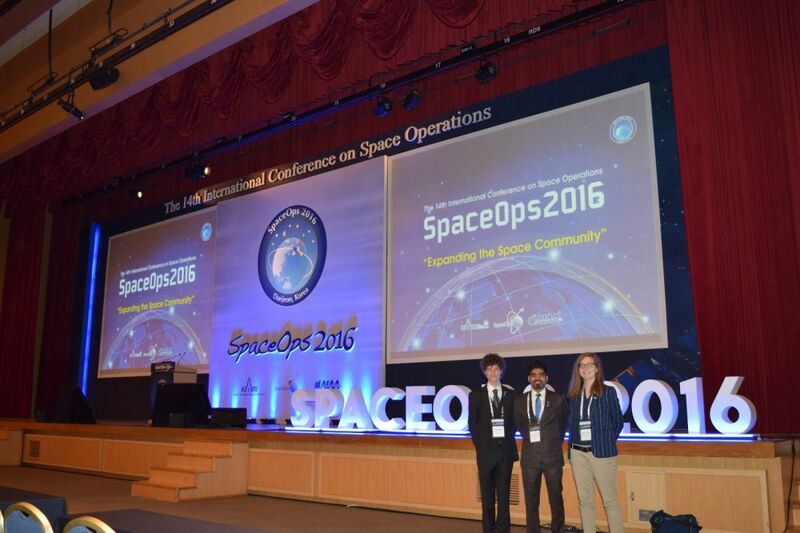 A number of technical sessions, covering all aspects of space mission operations, including areas such as robotics, human, earth orbiting, planetary analog, and deep space aspects of space operations, were incorporated into the well thought out conference program. Our presentation was scheduled on the 16th of May, the first day of the conference, within the Human Systems and Operations (HSO) session. I, as the principal author of the paper, had to shoulder the responsibility of putting forth our research to the audience. 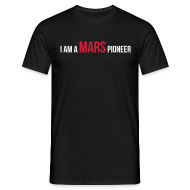 I must admit that I was nervous to an extent, as the presentation was going to be in front of an august gathering, comprising of eminent scholars and experts in the field of space operations from all over the world. My joy knew no bounds when my talk was well received by everybody. I was happy that all the efforts of my colleagues at OeWF had received its deserved limelight. The events that unfolded after, were beyond my comprehension. Post the talk, as I walked back to take my seat, a middle aged man came up to me, introduced himself as Craig from NASA and informed me that our paper had been selected as one of the best in the conference. He handed me an envelope, and informed me that it had been a pleasure to have met me. Even though he took off after our brief conversation, I, however, stood there, dumbstruck. It took a few seconds for the news to sink in. I wondered if this was reality or a figment of my imagination. I, along with my colleagues, hurriedly opened the envelope and what we found inside, to our astonishment, had left us speechless. Our paper had not only been selected as one of the best in the conference, but was also chosen to be included in the Post Conference book to be published by the prestigious Springer publications. We jumped with joy. That was extremely unexpected. To be in the same league as that of other high quality technical papers that constituted less than top 10% of the overall papers in the conference was no small feat. Although, we had put in a considerable amount of effort in creating the paper, we were still unsure if we were worthy of it. But, we soon realized that, if reviewers from top space agencies had made the call, then we must have done something right. It was just one of those moments when words failed to portray how we really felt. We learnt the importance of engaging ourselves in such valuable events, which not only pave way for discussing challenges and innovative solutions, but also lead to constructive collaborations with highly qualified peers from around the globe. Just when I had thought that my experience at the conference couldn’t get any better, it just did! I was chosen as one of the 15 recipients of the Korean Aerospace Research Institute (KARI) student scholarship, in honor of outstanding academic performance during the conference. To say that I was delighted would be an understatement. It was very humbling and inspiring for me to be a part of this elite student network. We are very confident that all those wonderful people we met during the conference will be instrumental in exposing us to a pool of opportunities in the years to come. We are truly grateful to Dr. Groemer and the OeWF for providing us with an opportunity to be a part of the AMADEE-15 mission and our co-authors, without whom all this would not have been possible at all. Our association with OeWF has proved to be extremely beneficial to our career in space science and technology apart from having played a pivotal role in our self- development. It is not every day you have an experience that is life altering. We take back some of the best memories, some moments of absolute joy and pride and some amazing interactions. It truly was an enthralling experience. He is an OeWF volunteer, member of the flight control team, and a former intern. He currently lives in Finland where he is pursuing his Erasmus Mundus Masters in Space Science & Technology.